Discover the world's first 4D marble maze game! 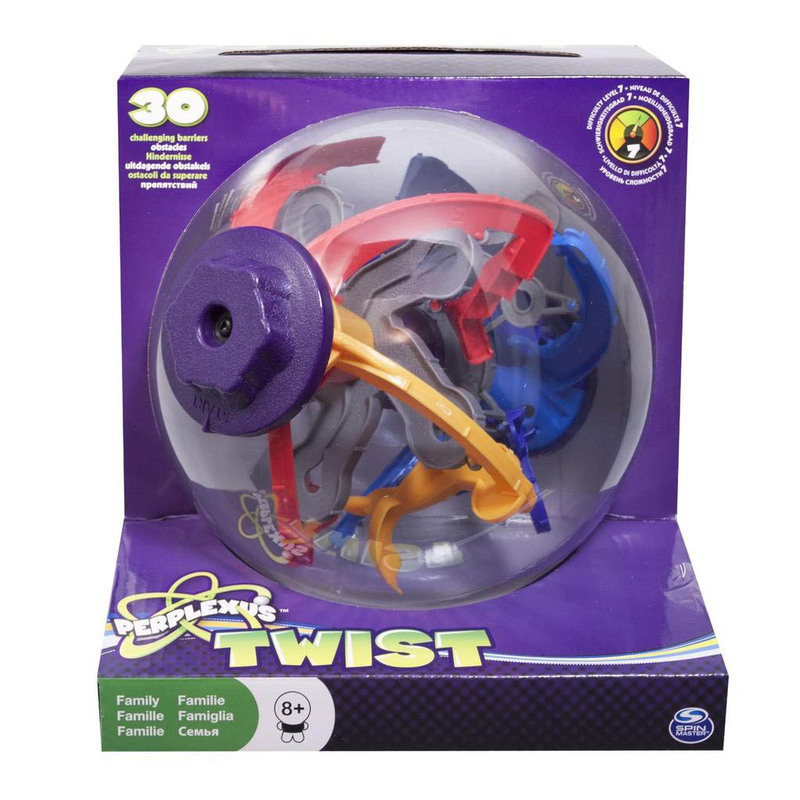 Perplexus Twist is a bendy, trendy, can?t put it down challenge! Easy to play, but hard to master! Discover the world’s first 4D marble maze game! Can you make it through a labyrinth of 30 challenging obstacles? The Perplexus Twist adds a new fourth dimension requiring players to twist and realign the tracks to escape traps, decoys and cliffhangers! Flip, twist and spin Perplexus to move the ball along the numbered path. When you fall off the track (Yes, it will happen!) head back to the start and try again. It’s a bendy, trendy, can’t put it down challenge! There are multiple levels of difficulty to master! 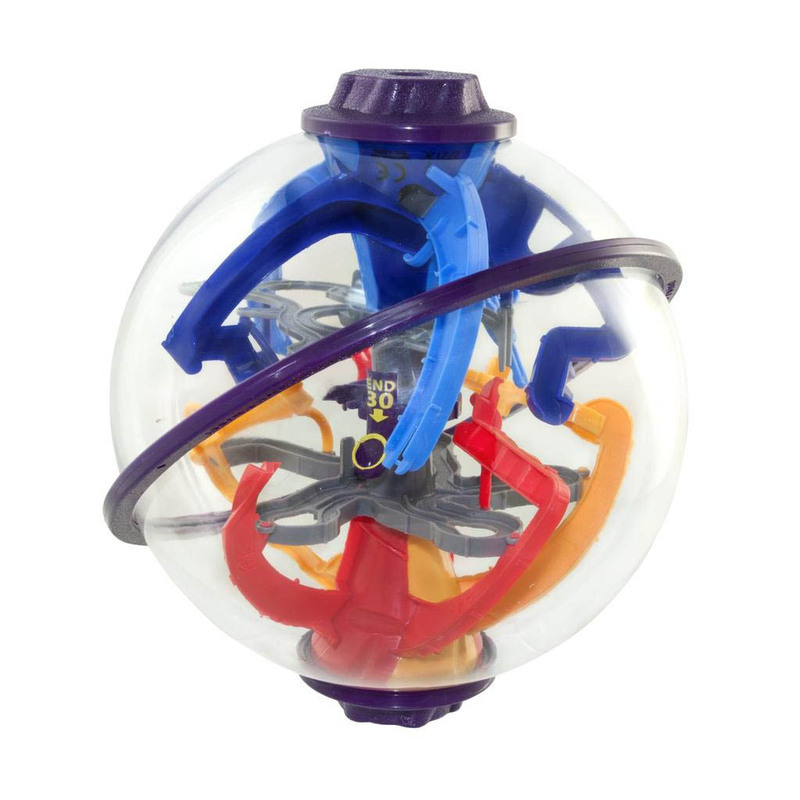 Challenge yourself with the Perplexus Rookie, Perplexus Original and Perplexus Epic! They’re easy to play, but hard to master! Perplexus Twist is the ultimate 4D labyrinth within a sphere! Inside the Perplexus Twist you’ll need to navigate through 30 Challenging Barriers! 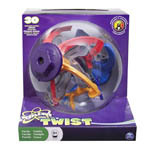 Flip twist & spin your way to the finish line! Perplexus is easy-to-use, but hard to master!